Shallow Cogitations: Even Mo' Money! 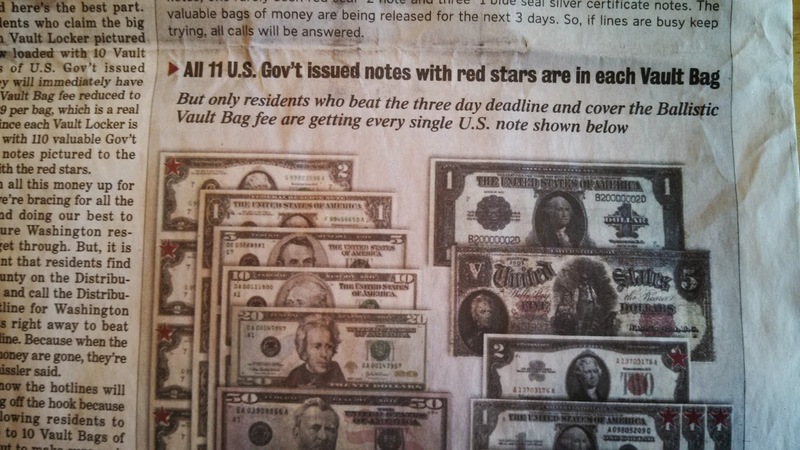 There was another full page ad in the Spokesman Review this time for vault bags of government issued notes. 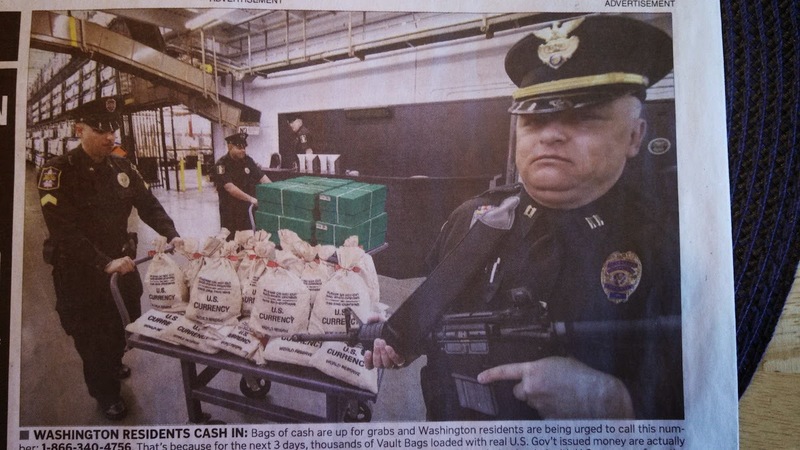 $99 gets you a bag with 11 bills. 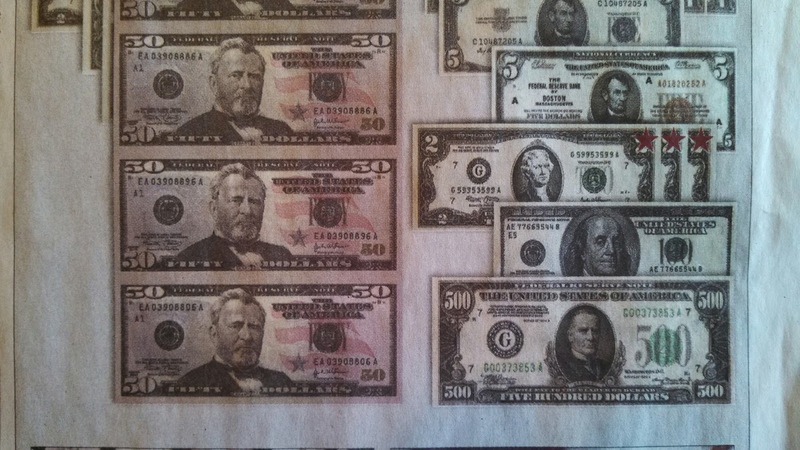 Not the five hundred or fifty dollar bills in the photo. The ones with red stars. Yeah, the $1 and $2 bills. Instead of 48 hours you have 3 days. But people in Garfield and Columbia counties are safe again since their counties are not eligible. The captain gets hold the big gun.